Natural Remedies For Yorkie With ACL Tear and Dry Skin Help Him Feel Better! 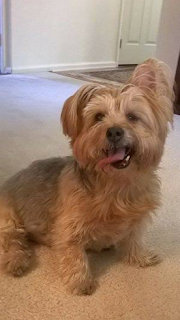 "Beau is a Yorkie mix rescue, who came into our family one year ago. He was half blind, with dry skin issues, and recently tore his ACL. We put him on Amazing Omegas, and Ultra Flex joint supplement. Beau's skin is 100 percent better, with the shiniest of coats, and his is recovering nicely from his ACL tear without surgery! We swear by your products, and you have a loyal customer for life!"